Making the decision to move across state lines can be an incredibly exciting time for you and your loved ones. The ability to relocate to a new community is a great way to experience a “change of scenery” and have new beginnings. However, coordinating the details of an interstate move can be complex and requires a moving company that is experienced and knowledgeable about all aspects of moving out of state. Why not let the movers of Coast Valley take the guesswork out of your next long distance residential move? For more than 40 years, the residents of San Clemente and the surrounding areas have been counting on the experts at Coast Valley Moving to make all of their interstate moves smooth and stress-free. 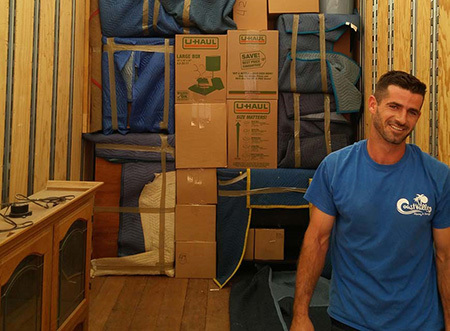 Get started on your next residential interstate move with Coast Valley Moving! We have helped thousands of happy customers successfully relocate to their new homes, quickly and easily, and look forward to helping with your next transition! Contact us to speak to one of our friendly, knowledgeable representatives or fill out our quick online form to receive your FREE estimate of moving costs.